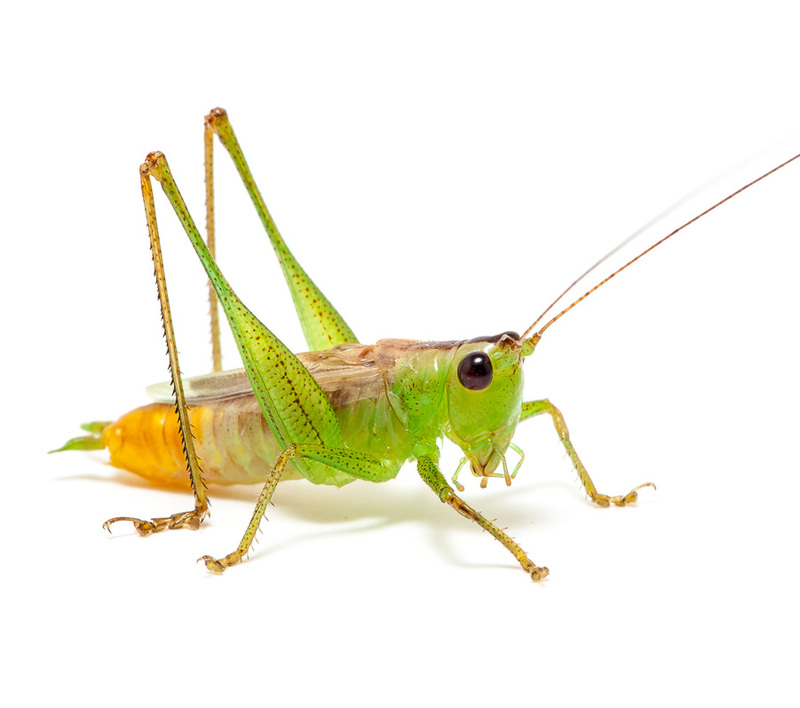 Song of a Saltmarsh Meadow Katydid (scroll down for explanation and additional recordings!). 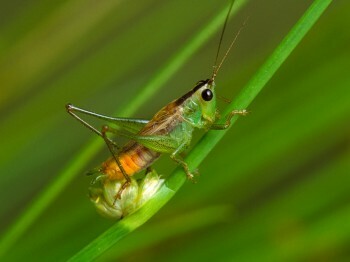 Perhaps the nicest-looking member of the genus Concocephalus, the Saltmarsh Meadow Katydid is a stunning combination of bright green, yellow, orange, and brown, with eyes colored a deep wine red. There is also an all-brown form. Their song is faint, making them difficult to find. They are also great jumpers and are hard to catch, even with a net. 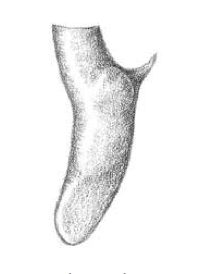 They are more active at night, often found high in the vegetation looking for seeds to consume. Found in saltmarshes along the coast from Maine to Texas. They prefer areas dominated by short grasses and reeds. Sonogram of a Saltmarsh Meadow Katydid. © Wil Hershberger.